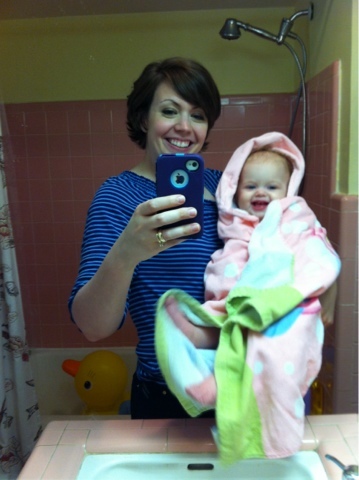 I never realized how much time you spend in the bathroom once you have a kiddo. It’s pretty substantial with all Jane’s bath time, which is every night since her favorite new hobby is smearing supper all over the back of her head. When she hears the water running in the tub she starts asking, “Duck? Duck? Duck?” She’s a great enthusiast of ducks, as you can see below. 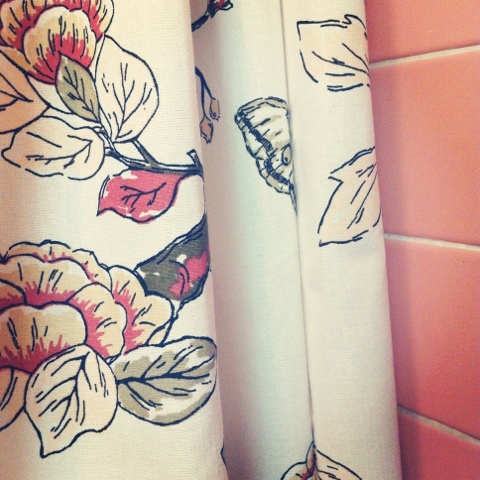 I found a new shower curtain at Target (but I really like to pronounce it all French-like: Tarjaaay). It looked great with the tile, not so great with the lemon yellow walls. So we’re due for a mini change. Jane could care less. 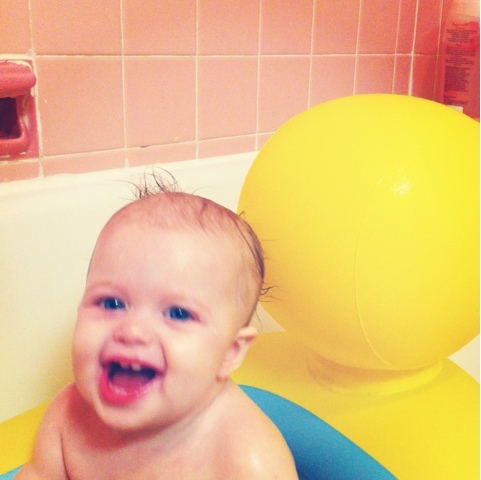 As long as bath time involves yellow ducks of some kind, she’s perfectly content.